Accidents happen all the time. One minute you’re embracing your creativity and capturing amazing photos and the next minute you’re staring down at what’s left of your Canon camera after its been dropped off a cliff, smashed by an overeager toddler, knocked off the picnic table and into the pool, or had an extra-large latte (no whip) spilled all over its LCD screen. Talk about a creativity buzz kill. Canon U.S.A., Inc. wants you focused on taking great photos, not on worrying how much it will cost to get your camera repaired. Beginning May 1, 2016 and running through July 30, 2016, Canon U.S.A. is offering a complimentary CarePAK Plus Protection Plan good for a 13-month period from time of purchase, when you purchase an eligible camera or lens product at a Canon Authorized Dealer. With Canon CarePAK Plus Protection your camera is repaired by Canon factory trained technicians using only Genuine Canon Parts. No third parties. No confusion—just the promise of protection from accidental damages, for a 13-month period— absolutely free. Any camera repaired under this promotion will receive priority service, free return shipping and support direct from Canon. And once the 13-month period is completed, Canon camera and lens owners have the opportunity to purchase an extended CarePAK Plus Plan. Any purchased camera/lens kit will also be covered. For example, if one buys the Canon EOS 5D Mark III and EF 24-105mm f/4L IS USM lens kit, both items will qualify under the new CarePAK PLUS program. Removed dependencies on QuickTime for some video codecs on Windows. Lightroom for iOS 2.3 is now available, bringing with it a few important improvements and bug fixes. Most notably, we’ve taken steps to reduce the amount of steps that it takes to edit a photo from your camera roll. We heard from a number of users that editing and sharing a single photo was really important, so we made it possible to start editing immediately with a single photo. Importing multiple photos was also made easier by being able to swipe across a series of photos directly. By making it possible to start editing directly, you no longer have to find a photo, import it, find it again, and then start editing, so common workflows should be improved considerably. 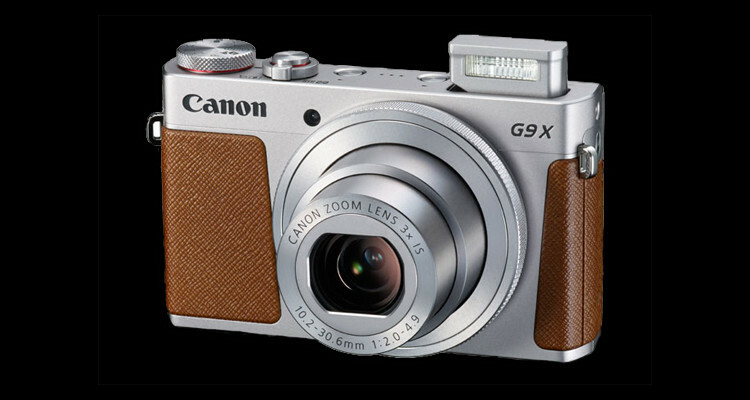 TOKYO, April 27, 2016 - Canon Inc. announced today that the Company's Powershot G9 X premium digital camera was honored for design excellence, winning the Red Dot Design Award: Product Design 2016. The internationally recognized "Red Dot" is organized by the Design Zentrum Nordrhein, a design institution based in Essen, Germany. The Powershot G9 X features a compact, lightweight design, a 28-84 mm (35 mm film equivalent) 3x optical zoom lens and a 1.0 inch image sensor. Its luxury design, characteristic of a premium compact camera, features a touch-panel LCD and a control ring for intuitive operability that makes possible the effortless capture of high-quality images and video. 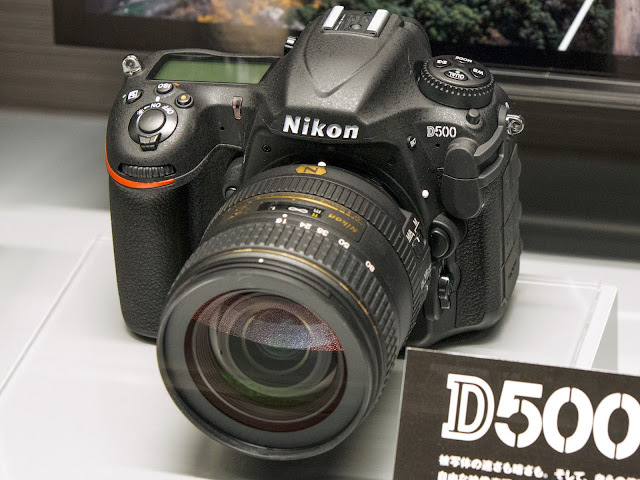 Nikon Professional Services has created a Shooting Tips Page for D500 users. It covers useful features and functions for Sports AF and Movie editions. 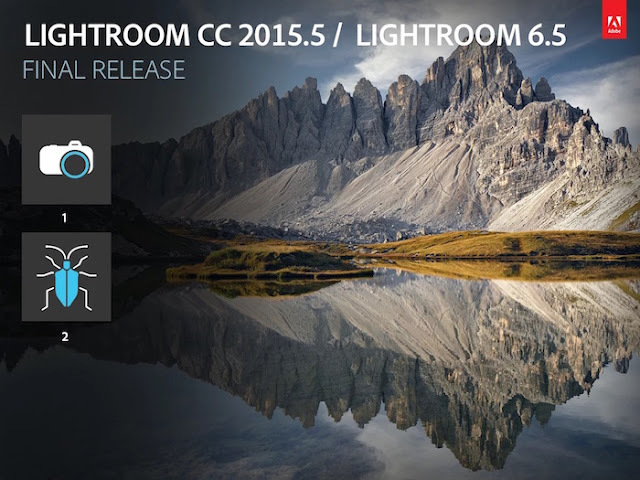 Take a look at the video below for a first impression of the camera. 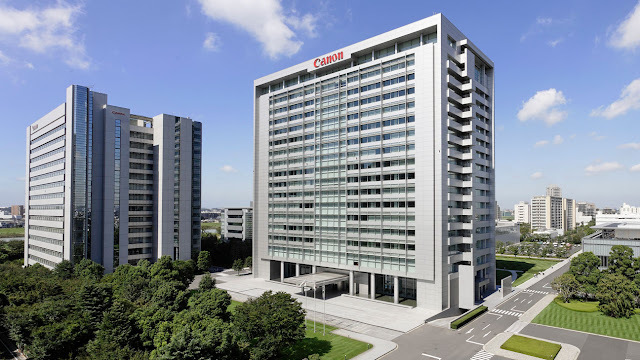 TOKYO, April 26, 2016 - Canon Inc. on Tuesday reported a steeper-than-expected fall in first-quarter operating profit on weaker demand for office equipment in emerging markets and slower global sales of compact digital cameras. The world’s biggest maker of printers and cameras also cut its outlook for the full year ending December. For January-March, operating profit dropped 39 percent to 40.1 billion yen ($361.4 million), the company said. That missed the 67.74 billion yen average of five analyst estimates, according to Thomson Reuters data. Canon said it now expects full-year operating profit of 300 billion yen, lower than a previous forecast of 360 billion yen. Quarterly operating profit from office equipment, its biggest segment, fell 38 percent from a year earlier while profit from imaging systems such as cameras fell 33 percent. To reduce its reliance on cameras, Canon agreed to buy Toshiba Corp’s medical equipment unit for 665.5 billion yen last month. The deal followed the purchase last May of 85 percent of Swedish video surveillance firm Axis AB. The company, which earns about 80 percent of revenue overseas, said the yen’s appreciation in the first quarter had a negative impact on earnings. For the rest of the year, it said it expects the U.S. dollar to trade at an average of 110 yen compared with a previous assumption of 120 yen. 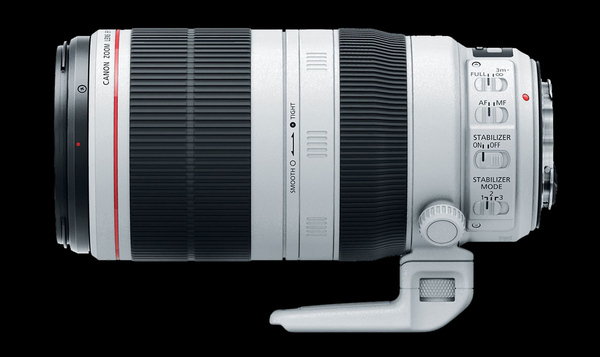 A new Canon patent for the EF-M 50-300mm f/4.5-5.6 DO lens has been discovered. This design can fit both EF-M and EF-S mounts. 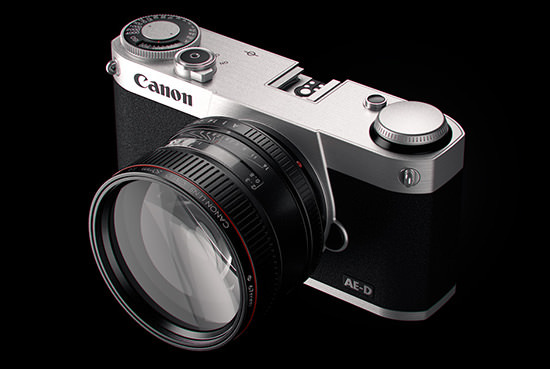 In addition, recent Canon patents for EF-M cameras include EF-M 9-18mm f/3.5-4.5 STM and EF-M 16-80mm f/2.6 lens. The video below from DigitalRev offers a first hand look at the functions and features of the Nikon D500 camera. My readers know I am a fan of Canon's Diffractive Optics technology. 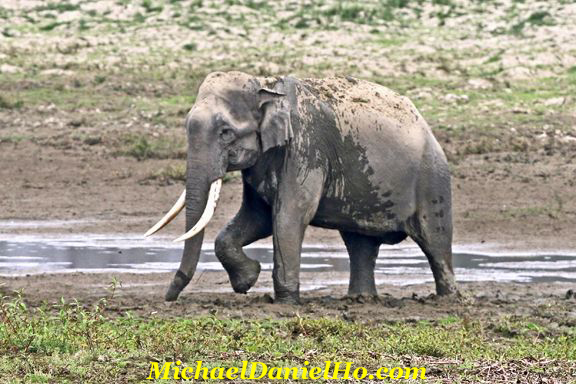 The current EF 400mm f/4 DO IS II is my favorite Super Telephoto lens when I want to travel light. 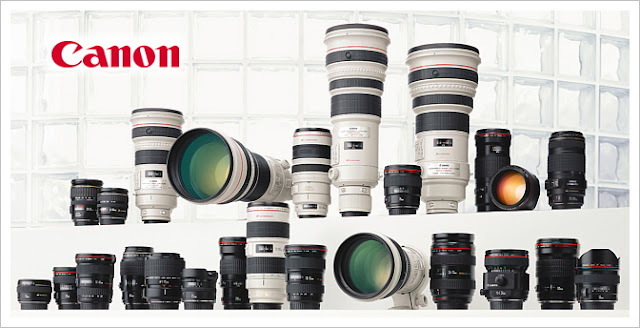 Canon has been working to perfect the DO technology since the first EF 400mm f/4 DO IS lens came out in 2001. The EF 600mm f/4 DO BR lens was showcased in last year's Canon EXPO at New York City. Now, a new Canon DO patent has been uncovered for the APS-C sensor. The new design has a focal length of 50-300mm f/4.5-6 with STM. 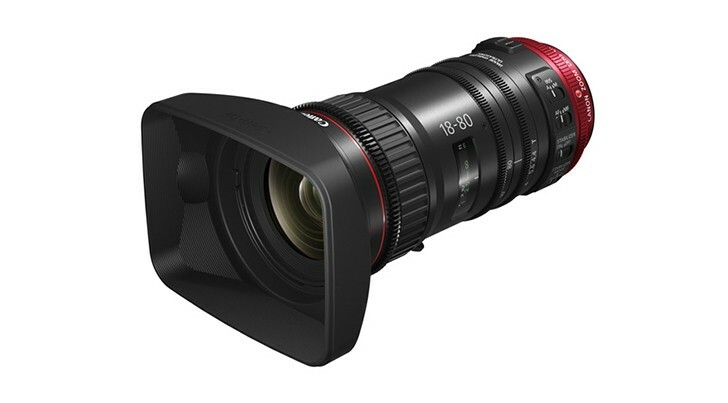 As of now, there is no built-in IS but this is of course a work in progress and if Canon decides to release this DO lens for the APS-C market, I am certain it will come with Image Stabilization. Is The new D5 DSLR Nikon's Fastest Shooting Camera? How far has Nikon cameras come in terms of burst rate, as measured by frames per second, in the last twenty years? Remember the Nikon F3H, the Super high speed film camera announced in 1996? 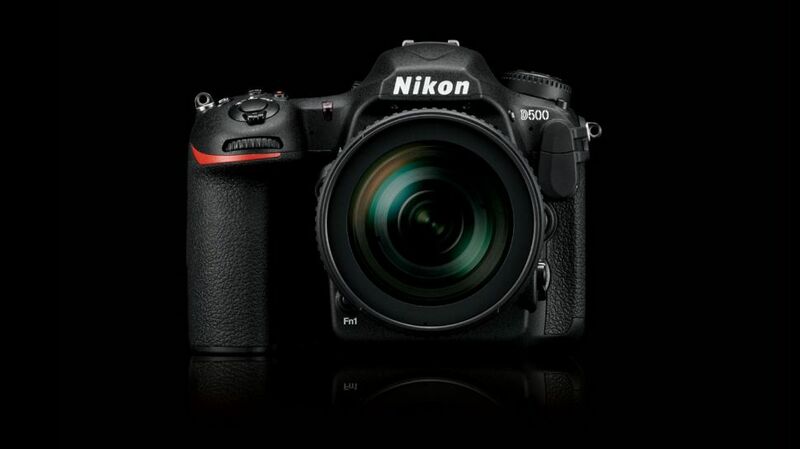 Its 13fps burst rate actually exceeds the new Nikon D5 DSLR firing at 12 fps. The F3H camera was a one-off modification, based on the Nikon F3 and the MD-4 motor drive. Its primary goal was for sports photographers covering the 1998 Nagano Winter Olympics in Japan. Fast forward twenty years, and now the new Canon 1D X Mark II camera can fire 14fps and 16 fps with mirror lockup. Are we comparing apples to oranges? Do we really need all that speed? Canon is planning to announce more EF lens this year. 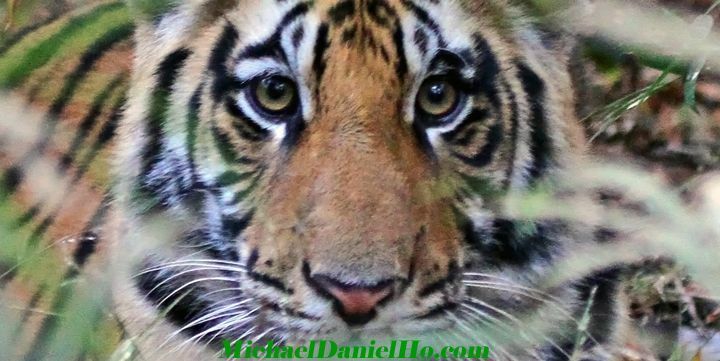 Recently, I reported on the EF 200-600mm f/3.5-5.6 IS Super Zoom lens. This new glass may be a Q4 2016 or Q1 2017 event. I have not decided on whether to buy this lens or not even though I like the focal lengths. 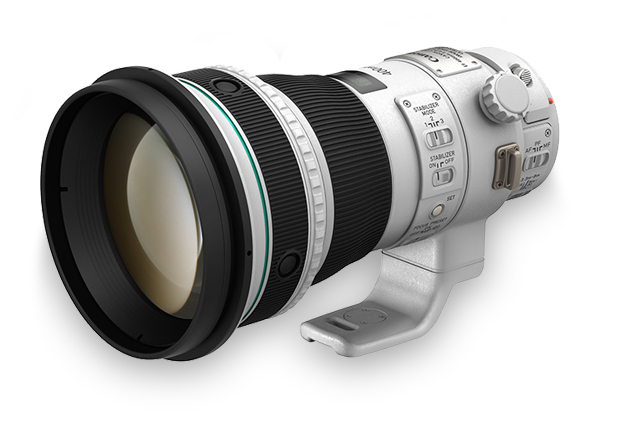 The one lens I will definitely buy when Canon announces it is the EF 600mm f/4 DO BR. The EF 16-35mm f/2.8L Mark III will be announced this year, together with more EF-S shorter zooms and EF-M prime and medium zoom lenses. Egami discovered another new Canon patent for a EF-M 9-18mm f/3.5-4.5 STM Ultra Wide lens. I expect Canon to announce a new prosumer EOS-M mirrorless camera and more EF-M prime and medium zoom lens later this year. 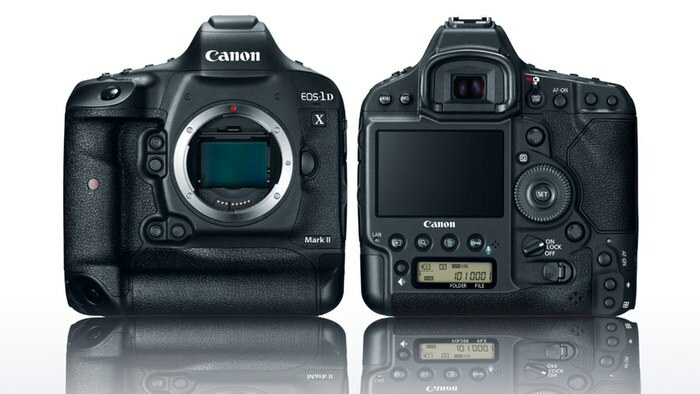 My new Canon EOS-1D X Mark II camera will arrive at the end of April. 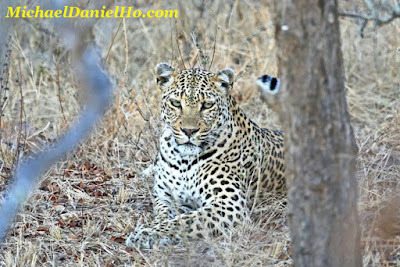 The current EOS-1D X body has been my pick as the best pro DSLR for wildlife photography four years in a row. Very excited to put the new camera through my real world global photo shoots to test its performance and claims and write a comprehensive review soon. The noticeable 'bump' on the Mark II above the viewfinder contains the built-in GPS system. It does not have WiFi on board. As a professional camera, the performance and reliability of the body must come first. Getting reliable WiFi signals through a magnesium alloy body proved to be a challenge for Canon. Wireless communication has to take second place and not too many sports or wildlife photographers I know need that 'instant' communication capability anyway. 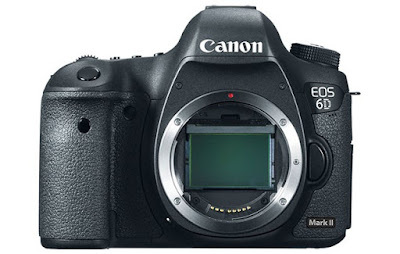 The upcoming EOS-5D Mark IV will have both capabilities built-in. The 'bump' on the new Mark IV DSLR, containing the GPS and WiFi modules, will be made of synthetic resin material to accommodate both assemblies and ensure they work reliably. A new Canon patent for the EF-M 16-80mm f/2.6 lens has surfaced. Canon will be announcing more EF-M lens this year together with a new prosumer mirrorless camera and more prime and medium zoom glass. It is no surprise that Canon will be announcing new mirrorless cameras this year. I have written about Canon's plans to finally get serious about their mirrorless camera line in the last few months. The first camera, EOS-M4 will be a replacement to the somewhat successful EOS-M3, released on February 2015 but was only available to the North American market in Q4 of last year. 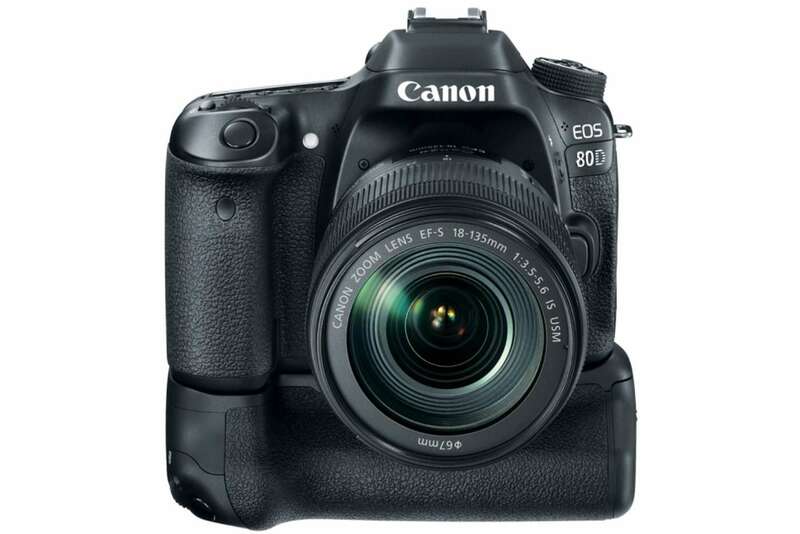 The new body may use the same sensor as the recently announced EOS-80D camera. The second body could be the long awaited, prosumer mirrorless camera. It may carry a brand new 24MP sensor and finally use the EF line of lens without an adapter. There will be a few new EF-M lens coming this year, mostly in the prime and medium zoom focal lengths. Live HD – 1920×1080 / 60p, 50p output, Dual Pixel CMOS AF and Remote (RC-V100) enable HD Live use for HD studios as well as sporting events. Thanks to its compact size, this camera can be placed in unique creative spaces such as the top of a basketball hoop. Genlock functionality is standard for this multi-purpose camera use. Production – Remote manual control of focus, iris, auto exposure (AE) and ND filters is available with the optional Canon RC-V100 controller, benefitting a range of users from meteorologists looking to get distinctive images of severe weather conditions to concert venues looking to add creative low-light imagery or cinematic shallow depth of field to their offerings. Security Surveillance – Infrared shooting and ISO 204,800 allow for surveillance of buildings, borders, airports, and harbors. Remote control capability and Auto Exposure allow the ME200S-SH camera to be easily incorporated into these constantly evolving and potentially unmanned environments. The ME200S-SH camera features 3G/HD-SDI and HDMI output terminals that enable users to output video via a single cable to a variety of peripheral equipment, including external recorders and monitors. A 12-pin lens jack is provided to enable communication with the drive unit of select CINE-SERVO and broadcast lenses. Equipped with a ?2.5mm stereo mini-jack and a round eight-pin jack for RS-422, the multi-purpose camera is capable of connecting with Canon’s optional RC-V100 Remote Controller. Furthermore, a ?3.5mm stereo mini-jack allows the camera to connect to a microphone or other external audio equipment. MELVILLE, N.Y., April 13, 2016 – Canon U.S.A. Inc., a leader in digital imaging solutions, today introduced the ME20F-SH Cinema Kit, which bundles the ME20F-SH Camera with 10 accessories to enhance the user operation and provide significant savings compared to purchasing the accessories separately. The ME20F-SH camera’s CMOS sensor has pixels measuring 19 ?m square1, which is more than 5.5 times the surface area of the pixels on the CMOS sensor featured in select top-of-the-line interchangeable lens cameras2. Its large pixel size enables the ME20F-SH to deliver magnificent imagery in normal lighting conditions, while also possessing the high sensitivity to capture Full HD video in less than 0.0005 lux3 (at maximum 75 dB gain setting, equivalent to an ISO sensitivity of more than 4,000,000). Along with its modular body and compact size, the image quality delivered by the ME20F-SH camera allows users to capture clear images in even the most demanding of applications including cinematic production, reality television, and nature/wildlife documentaries. 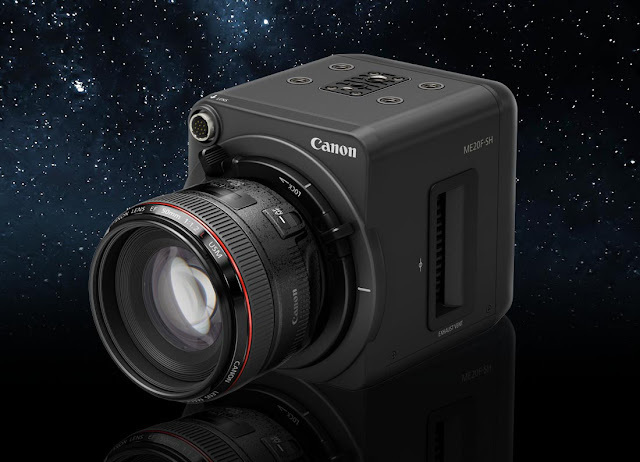 Similar to Canon’s Cinema EOS System of professional digital cinematography cameras, the ME20F-SH camera includes Canon Log and Wide DR, which make possible a wide dynamic range, delivering high-image-quality video results across a range of illumination environments, from low- to brightly lit conditions. The ME20F-SH employs the same EF mount (Cinema Lock type) as Canon’s SLR cameras and Cinema EOS series of professional digital cameras, allowing users to make use of the Company’s extensive lineup of interchangeable EF lenses from fisheye to super-telephoto. The ME20F-SH kit accessory list includes the Atomos Shogun Flame external recorder, Zacuto mini baseplate, a SanDisk SSD pack, Noga Arm, HDMI cable, additional battery, battery and cheese plate, D-Tap/D-Tap cable, XLR cable and a battery charger that can also be used as a power adapter. All of these accessories make the ME20F-SH Cinema Kit ready for film and TV production as well as documentary work across a number of genres. 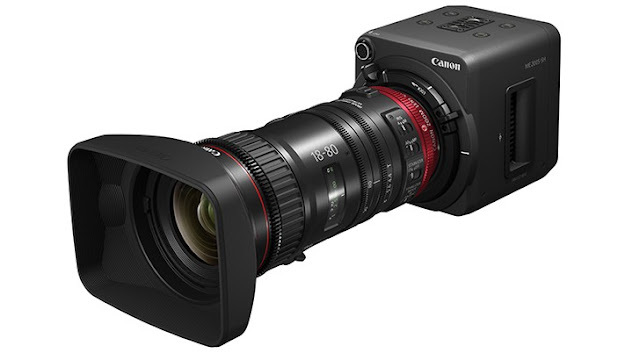 The Canon ME20F-SH Cinema Kit is expected to be available in April 2016 at a suggested list price of $31,000. 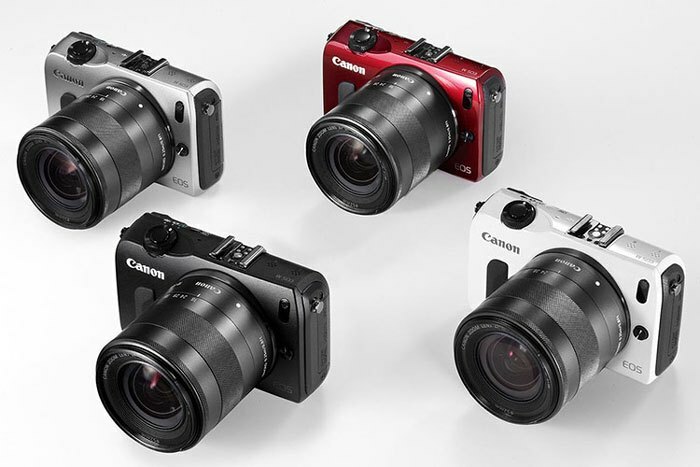 * For additional information about the camera and this new kit please visit : https://www.usa.canon.com/internet/portal/us/home/products/details/cameras/multi-purpose-cameras/me20f-sh. 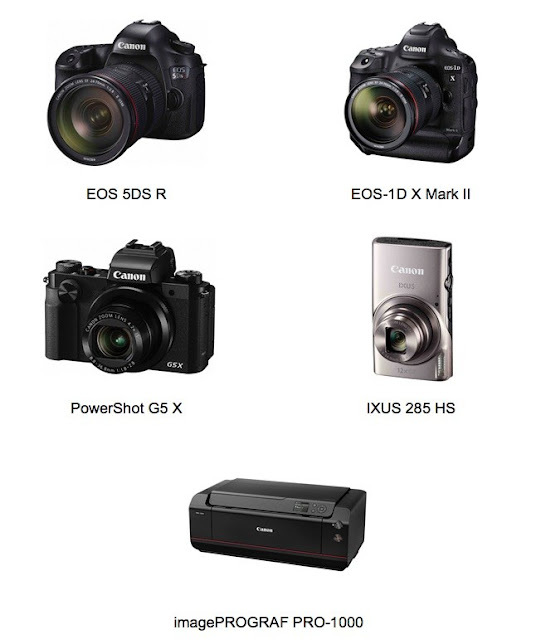 Follow Canon throughout the NAB show on Instagram at @CanonUSA and Twitter at @CanonUSApro and visit Canon’s C4325 Booth in the Center Hall of the Las Vegas Convention Center. Still on my Indian Wildlife Photo Tour. 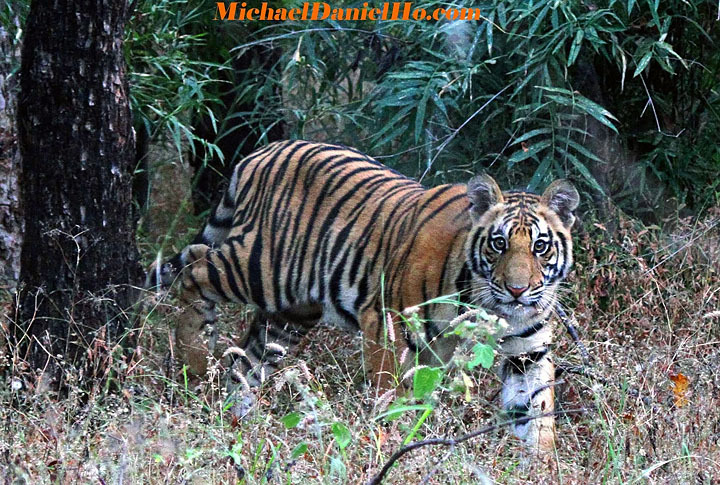 Been on a few elephant rides photographing tigers. 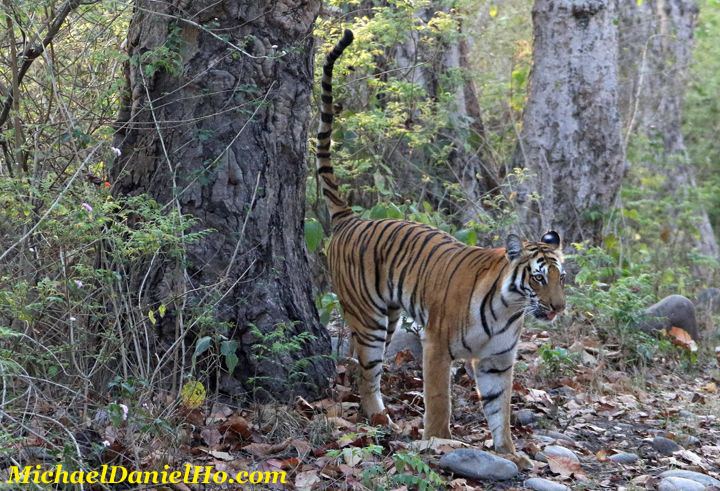 Getting better luck this time with sightings of the magnificent Bengal tigers and other wildlife. Just a few quick note to let me readers know the latest photography news. As reported earlier, I still expect the Canon EOS-5D Mark IV to be announced some time before Photokina, perhaps in August. In addition, as my readers know from my previous posts, Canon is getting serious with their mirrorless camera line. The EOS-M4 will also be launched around the time of Photokina, rumored to share the same sensor as the recently announced EOS-80D plus a few new EF-M lenses, primarily faster primes and zoom glass, to round out the line. In addition, there will be another mirrorless camera with a near professional grade performance. Once I get more info on this camera, I will let you know. Keep checking back. Here's a few more photos from my trip. 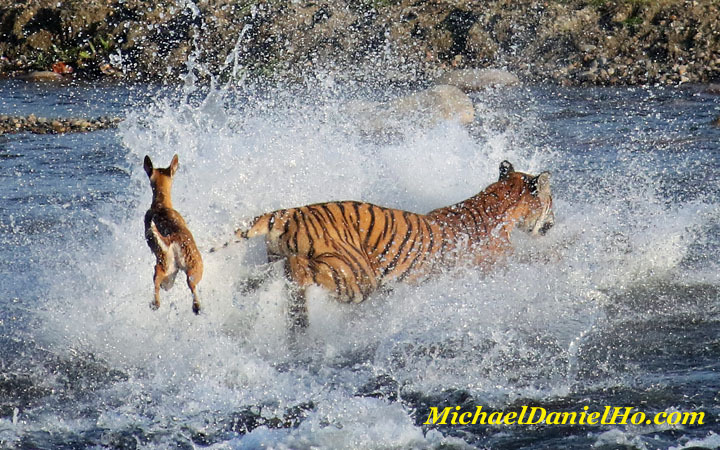 Visit MichaelDanielHo.com for more images from all my previous wildlife shoots. I am off to India for a wildlife photo shoot. 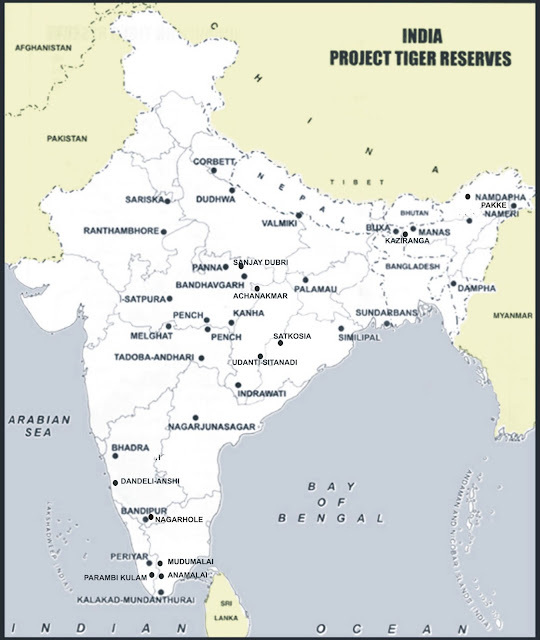 Will be visiting a few national parks and Tiger reserves and doing some travel photography as well. Modes of transportation include jeeps and elephants looking for Tigers, other wildlife and birds plus trying to locate Gharials, a fish eating crocodile native to the Indian sub-continent. 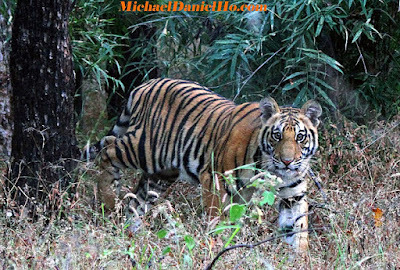 This will add more variety to a strictly tiger photo shoot in Incredible India. India is the largest democracy, second most populous country in the world and possesses a rich history spanning thousands of years. All travelers will have some opinions (either way) about this country and few visitors can be unaffected after their trip. 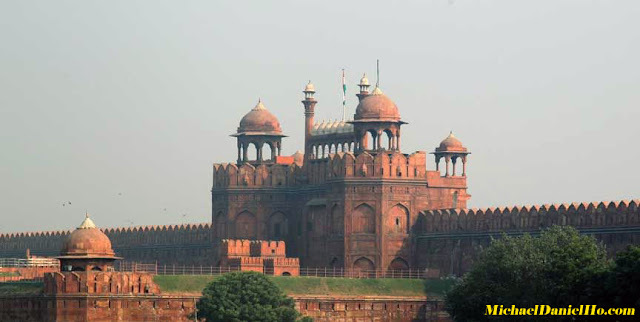 The country has a chaotic and creative blend of cultures, religions, races and tongues. 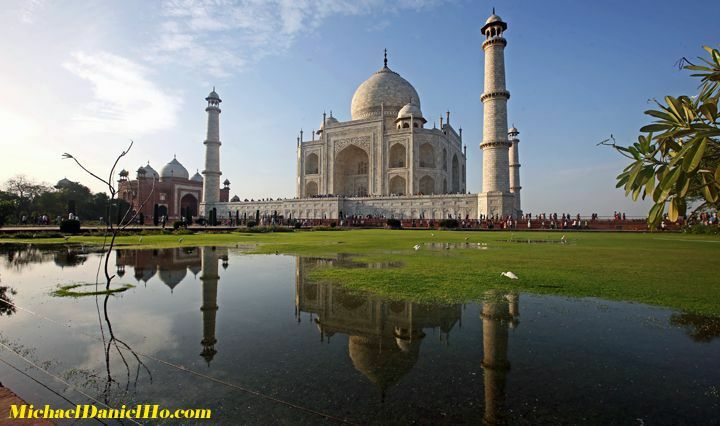 One's senses are constantly 'bombarded' by fascinating sights, sounds and colors. It is a window into our planet and humanity. This time I will be traveling light. Bringing my Canon EOS-7D Mk II , EOS-5Ds , EF 28-300mm f/3.5-5.6L IS , EF 400mm f/4 DO IS II and EF 16-35mm f/2.8L lenses. Too bad I will not have the EOS-1D X Mark II camera with me. The delivery should start late this month. 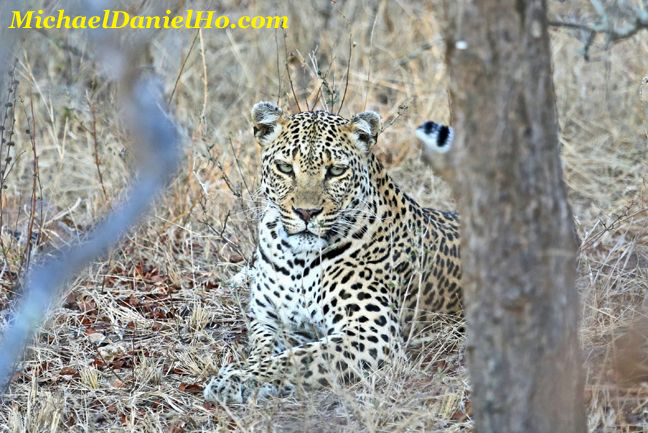 My readers know I have chosen its predecessor, the EOS-1D X as the best wildlife camera, four years in a row. You can see my equipment bag here. 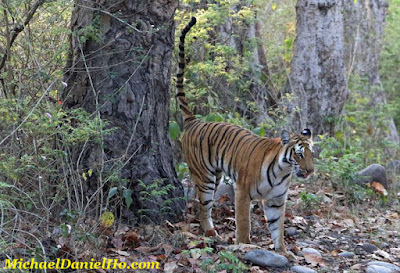 My Indian guide has been getting good Bengal tiger sightings with cubs in various national parks in the last few months. I look forward to viewing and photographing these magnificent animals in the wild and get more information on the fight against poachers and smugglers from the National Tiger Conservation Authority. 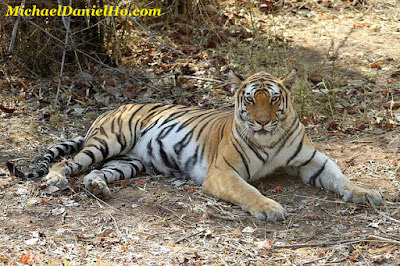 It will be difficult for me to keep in touch because there are few Internet access in the jungles and countryside but I will do my best. Have to wait till I return in mid April to reconnect and write my blog again. 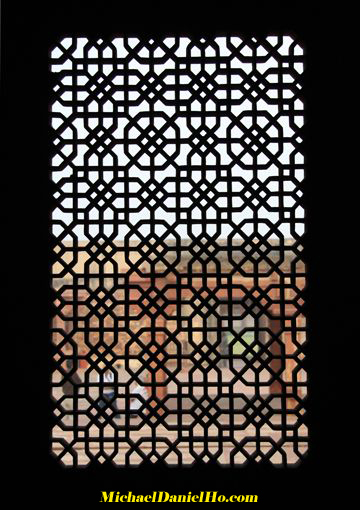 In the meantime, you can see more of my works on MichaelDanielHo.com and photos from previous trips to India and around the globe. Wish me luck on my trip. 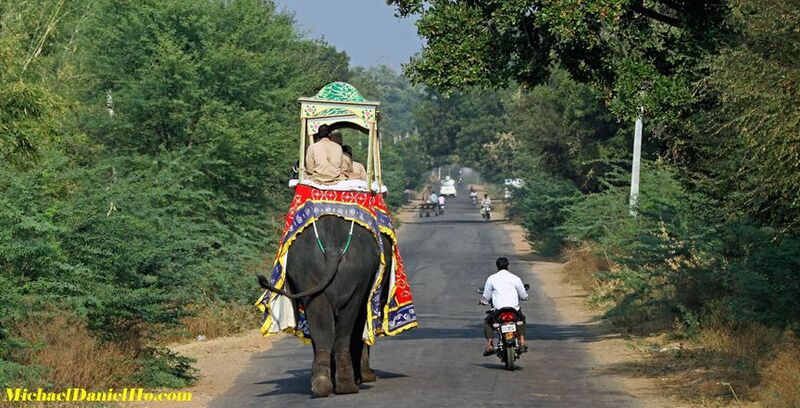 My India tour last year was just average. 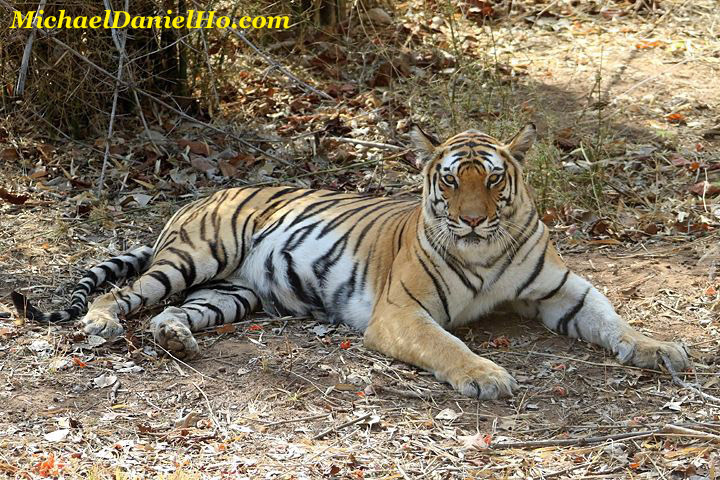 I need a break to get some spectacular sightings and encounters this time.